The Dr. Now Diet is a 1,200-calorie diet that is featured on the TLC program “My 600 Pound Life,” in which Dr. Nowzaradan not only performs the bariatric surgery he is famous for, but also helps to recondition the way his patients think about and relate to food. On “My 600 Pound Life,” Dr. Nowzaradan, or Dr. Now as he is referred to, insists that each participant stick to a 1,200 per day diet, in which meals are carefully planned in advance. When a participant arrives in Houston for their first encounter with the good doctor, they do not just walk into an operating room and receive weight loss surgery. After their initial appointment with Dr. Now, one test each patient must pass is the diet test. Dr. Now wants to be completely certain that each patient is willing to give the time and commitment required to be successful on their fitness journey. Dr. Now is a 73-year-old Iranian doctor who has made a name for himself in the weight loss surgery circles. 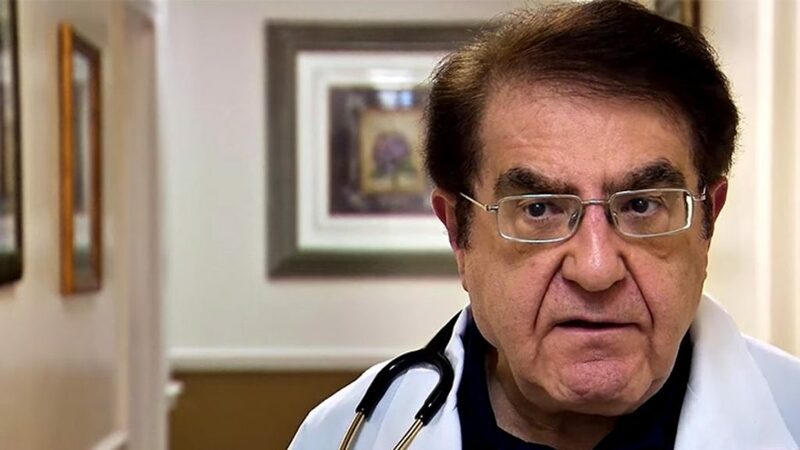 In 1971, Dr. Now received his medical degree from the University of Tehran (Iran), and went on to complete his medical residency at St. Louis University. Dr. Now practices many of the varying weight loss surgeries offered today, including revision surgery, lap band system, roux-en Y gastric bypass, and the gastric sleeve. Appointments can be made at Surgery Specialty Hospital, First Street Hospital, University General Hospital, and Doctors Hospital at Tidwell. Because of the strict nature of this diet, Dr. Now provides his patients with plenty of information regarding which foods should absolutely be avoided. The diet does not allow for sugar of any kind; that means no chocolate, pudding, pie, ice cream, cake, candy, jello, frozen yogurt, sweetened fruit, crackers, sorbet, soda, sugary drinks, jams, jellies, juice, sports drinks, or energy drinks. It also means no peanuts, popcorn, pistachios, sunflowers seeds or any other type of nut, really. This is especially surprising for some since many people consider nuts and popcorn to be excellent snacking material. Of course, one also must avoid high carb foods, like potatoes, oatmeal, cereal, rice, and pasta. The Dr. Now diet also restricts the types of fruit a patient can eat. No bananas, watermelon, or cantaloupe for these dieters. These particular fruits are filled with sugar and carbs. Participants of the Dr. Now diet are permitted to indulge in artificial sweeteners, like Sucralose or other natural alternatives. We have spoken about what foods to avoid while on the Dr. Now diet, but what foods should you focus on, instead? Dr. Now offers a comprehensive list of the best foods, and how much of them to eat, when trying to burn fat fast. Just kidding! Do not eat sugar. Important reminder: Choosing low or non-fat fairy offerings is your best bet; and if you choose not to consume dairy at all, you can find excellent sources of calcium in tofu, sardines, and other specifically calcium-fortified cuisine. The Dr. Now Diet is an excellent way for people to drop weight fast without surgery, as well as establishing good habits for future success in keeping the weight off. 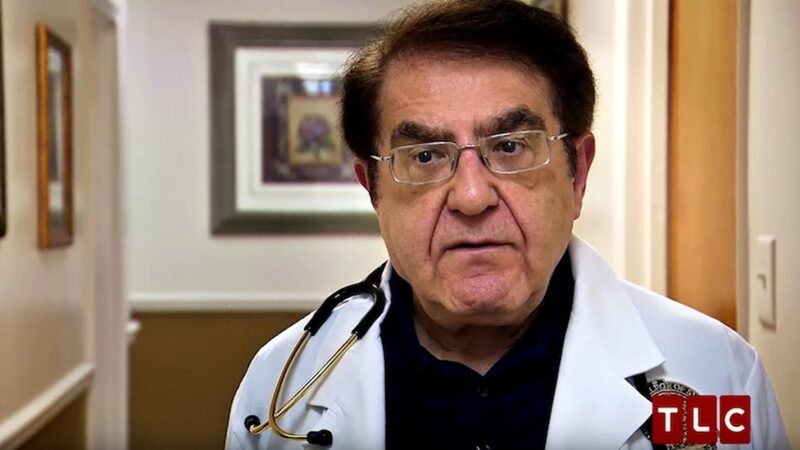 Dr. Nowzaradan is the doctor featured on My 600 Pound Life¸ a TLC series that chronicles the lives of people who weigh over 600 pounds and are attempting to lose the weight so that they may live a healthier life. Dr. Nowzaradan insists that the patients he works with on the show follow a very strict diet regiment before he even considers weight-loss surgery. Dr. Nowzaradan believes that there is no point in patients wreaking havoc on their bodies with surgery if they do not have the discipline to maintain a healthy lifestyle. Weight loss surgery does not guarantee that the weight stays off, therefore individuals must make a concerted effort to develop and maintain healthy habits before the surgery even takes place. My 600 Pound Life was only supposed to be a five-part mini series on TLC, but the response to it was so positive that the network chose to add the show into their regular rotation. The first season of the show was shot over a seven-year period, which gave the network the ability to really flesh out each participant’s journey. Beginning in the second season, however, they dropped it down to a one-year timespan, which truncated the story, but gave them the ability to follow more patients’ journeys. While Dr. Nowzaradan is obviously a huge part of the success of the show, it is the patients that viewers truly relate to. Let’s take a look at some of the most impactful participants. In 2014 when Christina Phillips first joined My 600 Pound Life, she weighed in at 708 pounds. After adhering to Dr. Nowzaradan’s strict diet and receiving gastric bypass surgery, she dropped a grand total of 536 pounds. That is the equivalent of two to three other people. Suddenly losing hundreds of pounds of weight is not all sunshine and rainbows, however, and Phillips struggled with mental health issues after she suddenly became a new person. Phillips said that she worried all the time about gaining the weight back, to the point that she would starve herself for days if she gained even a few pounds. When Diana Bunch joined the show, she weighed in at just over 600 pounds. Her weight caused her to suffer from open sores and blisters all over her body, as well as lymphedema, or extreme swelling in her legs. As the season progressed, viewers learned that Bunch’s problems likely stemmed from traumatic events in her childhood. It was unveiled that Bunch had been molested by two older boys from her childhood. When she tried to turn to food for comfort, she was unable to, as her mother insisted her entire family adhere to a strict, unrealistic diet. She only clocked in at 115 pounds during her teen years. When Bunch moved out of her family home and entered the Air Force, her unhealthy relationship with food completely spiraled, and she gained so much weight that she was discharged. Bunch was able to keep the 265 pounds she lost from the gastric sleeve surgery she underwent off and turn her sad past into a positive future. Tara Taylor joined the show at 606 pounds, and suffered from shortness of breath, trouble walking, and severe joint pain. At the beginning of Taylor’s season, she admitted to having a non-existent social life thanks to her weight, and that she had never even been on a date. Taylor not only found weight-loss success on the show, she also found love. During a reunion show in 2015, Taylor met fellow patient, Eugene Perkins. They hit it off on the “Where are They Now” episode, and recently got engaged. Who says reality television does not have any happy endings?! Penny Saeger is one of the most polarizing participants on My 600 Pound Life. She is reportedly one of the only patients to not lose weight post-surgery. Dr. Nowzaradan became very frustrated with her, telling her she was “delusional” because she refused to adhere to Dr. Nowzaradan’s diet and was unwilling to adjust her portions. There were rumors swirling around for a while that Saeger had died, but a quick look at her Facebook page shows that she is alive and at least partially well. Donald Shelton was one of the first patients on My 600 Pound Life, meaning we got to see a full four years of his weight loss journey. At the beginning of his story, Shelton weighed in at 675 pounds. His initial weight loss brought him down to 295 pounds. In the midst of his weight loss journey, he found out that he had Guillain-Barre disease, which is a condition in which the body’s immune system attacks its own nerves. This diagnosis threw a real wrench into Shelton’s weight loss attempts, as he could not even walk. This caused him to gain 200 pounds back, eventually resulting in him breaking his wheelchair. Though he is still restricted to his chair and suffers from Guillain-Barre disease, he has rededicated his life to his weight loss efforts. Chuck Turner began his time on My 600 Pound Life at 693 pounds. Turner’s weight gain began after his first wife was murdered in 2006. He got so heavy that he also developed a 40-pound lymphedema, or fluid filled sack, on his leg that prevented him from getting around. Turner’s second wife, Nissa, confessed on camera that his immense weight made it feel like their relationship was that of a care taker/patient dynamic, rather than husband and wife. Nissa left Turner, and he has been searching for love ever since. While Dr. Nowzaradan’s technique is not full proof by any means, his tried and true methods have shown clear results in helping the morbidly obese to shed pounds. Most importantly, though, is the fact that most people who go through his program keep the weight off and go on to live full and healthy lives. That is one of the greatest gifts any person could ever receive.